The Holidays are here. That means lots of holiday parties. Your holiday cocktail party needs a signature drink, in addition to the wine and champagne. The drink should be festive and somewhat out of the ordinary but easy enough to whip up as each guest arrives. I give you the Cranberry Whisky Sparkler. Whiskey has never been on my preferred liquor lists. It seemed to heavy, too dark for my tastes. I have had quite a few requests for a cocktail using it this winter. So I have jazzed it up with cinnamon, allspice and “cutie” orange peel. Mix this with cranberry ginger ale and you have a delicious drink. Garnish : Sliced orange slice, Fresh cranberries. Combine first 4 ingredients in a glass bowl with lid. Leave on counter for 4 or more days. The whiskey will turn a really toasty brown shade. When ready to serve remove the Peel and the cinnamon sticks. Pour into measuring cup or flask for easy pouring. 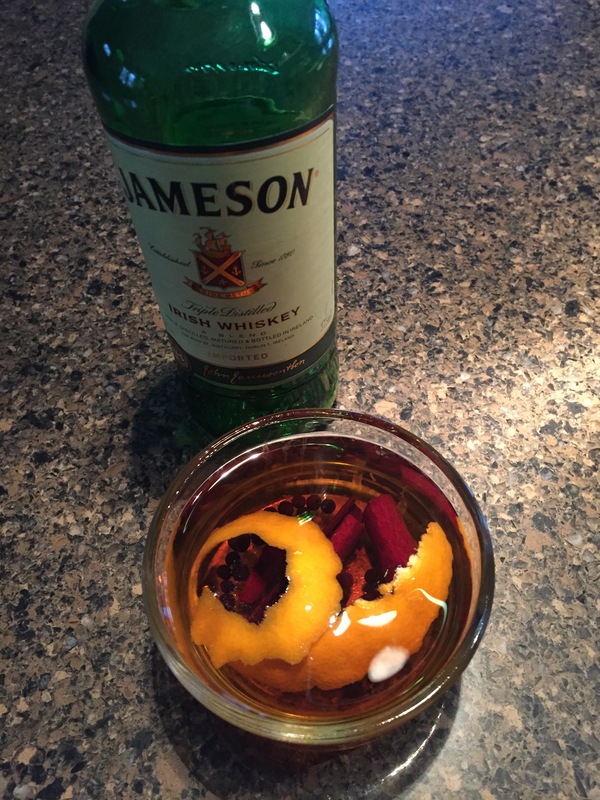 Pour 2 shots of whiskey into short glass filled with ice. 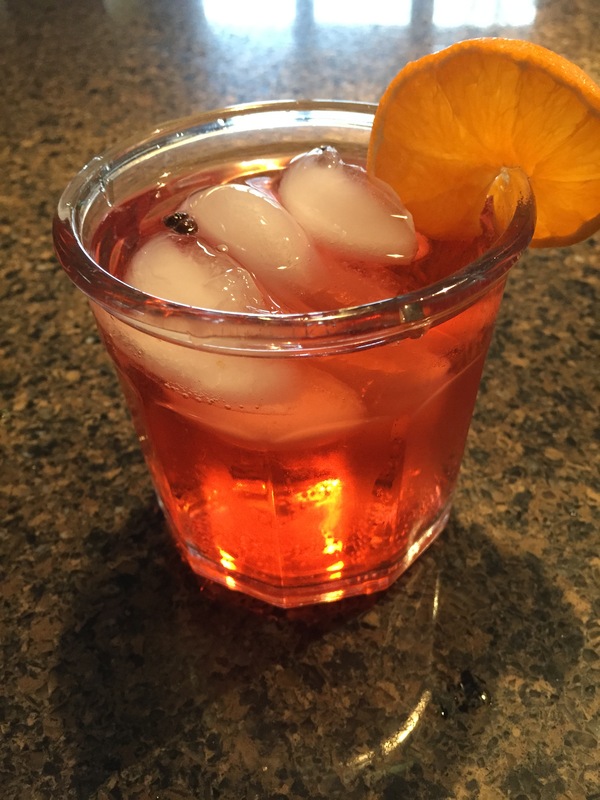 Top with cranberry ginger ale and sliced orange. you will have a few allspice berries still floating around. I think these add to the garnish.